Works as Counselling Psychologist at First Psychology Centre, Edinburgh. Dr Christina Adamou is an experienced counselling psychologist who works with individual adults and children (age 8+). Christina is able to work with a wide range of issues and problems including: depression and low mood; anxiety related issues such as generalised anxiety disorder, panic, social anxiety, phobias, obsessive compulsive disorder (OCD); trauma and post-traumatic stress disorder (PTSD); intimate partner violence; physical, emotional and sexual abuse; bullying; self harm; low self-esteem; assertiveness; stress; life transitions; sleep difficulties; personality disorders; and many more issues. She has a particular interest in working with people who are struggling with the impact of abuse (PTSD, anxiety, substance misuse, low self-esteem, lack of motivation, depression, isolation, psychosomatic difficulties) as well as in working with professionals who are supporting trauma survivors. Christina works in a flexible, client-centred and collaborative way with clients and tailors her approach to help meet the unique needs and preferences of each individual. She draws on a range of evidence-based therapeutic interventions including Cognitive-Behaviour Therapy (CBT), Counselling, Psychotherapy, Mindfulness-Based Therapy, Person-Centred Therapy, Person-Centred Play Therapy, Emotion Focused Therapy, Schema Therapy, Eye Movement Desensitisation and Reprocessing (EMDR), and Acceptance and Commitment Therapy. She is able to work with individuals on a short-term or long-term basis. Christina is fluent in Greek and is happy to work with people who would feel more comfortable working in this language. Christina has worked in a number of different settings including in primary and secondary care within the NHS in Scotland and England; in the voluntary sector; and within educational establishments. Christina has also developed and delivered workshops and courses at college and university level. She currently leads a psychological therapies team within a trauma service. Part of her role focuses on empowering and supporting survivors of abuse in finding their voice, reclaiming their lives, and developing a more nuturing approach towards themselves. She also supervises healthcare professionals. 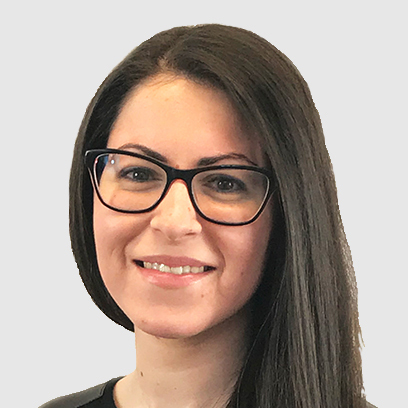 Christina has completed a Doctorate in Counselling Psychology from Glasgow Caledonian University; a Masters Degree in Mental Health from the Institute of Psychiatry, Kings College London; and an undergraduate Degree in Psychology from the University of Cyprus. Christina has also undertaken additional training in a number of areas including: EMDR level 1, BPS accredited training in supervision skills, Mindfulness-Based Stress Reduction, working with special education needs and disability, and child protection training. Christina is accredited by the Health and Care Professions Council (HCPC). Christina charges £75 per session for self-funding clients. She also works with clients referred via their employer/organisation – for further details, please visit First Psychology Assistance.